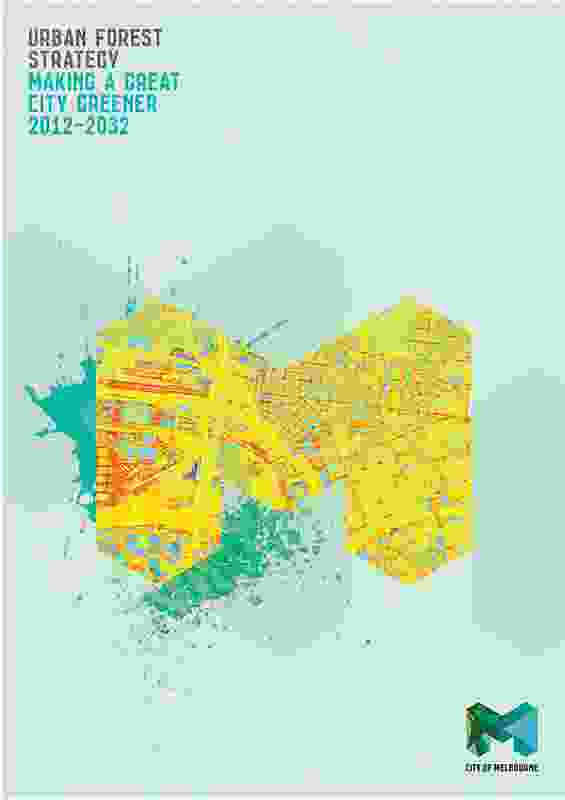 Urban Forest Strategy and Precinct Plans by City of Melbourne. 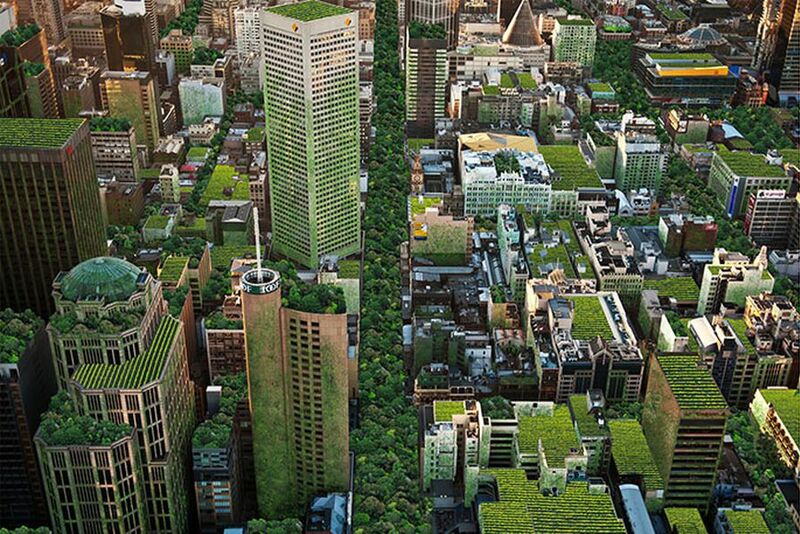 The Urban Forest Strategy and Precinct Plans are tremendous examples of public policy. 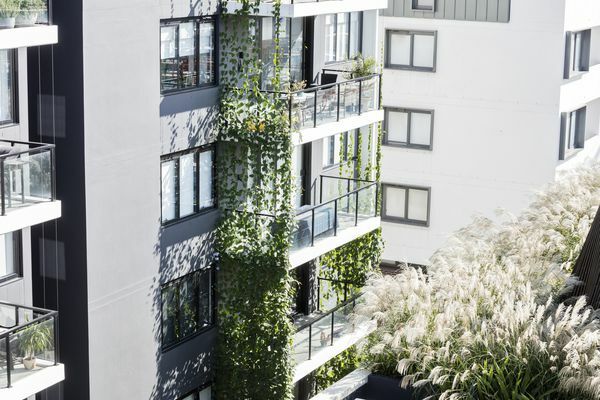 Melbourne’s rapidly ageing and declining tree cover, urban densification and divergent public views prompted a strategic approach to create lasting and significant changes. The Urban Forest Strategy and Precinct Plans exemplify transformational policy and active citizen engagement, as well as the establishment of best practice for the creation, management and enhancement of urban forests. This project marks a significant change in the way urban forests are considered, procured and managed in the city. 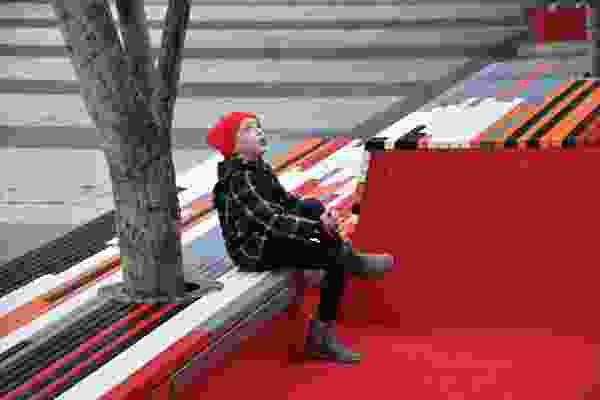 The Melbourne City Council aims to increase publicly owned tree cover from 22 percent to 40 percent by 2040, requiring three thousand trees to be planted per annum to meet these targets. 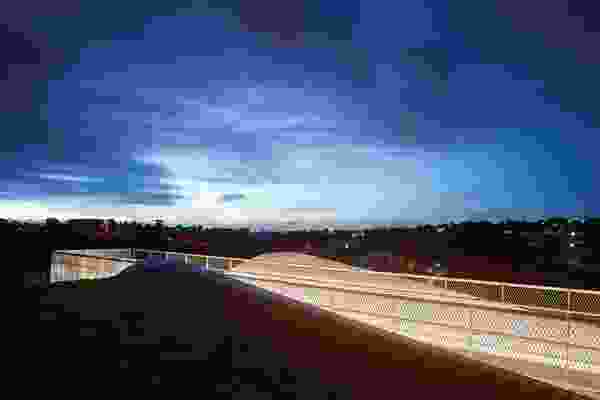 While establishing and providing a means to achieve these targets is commendable, this project goes well beyond rhetoric into citizen co-design and continual citizen involvement. 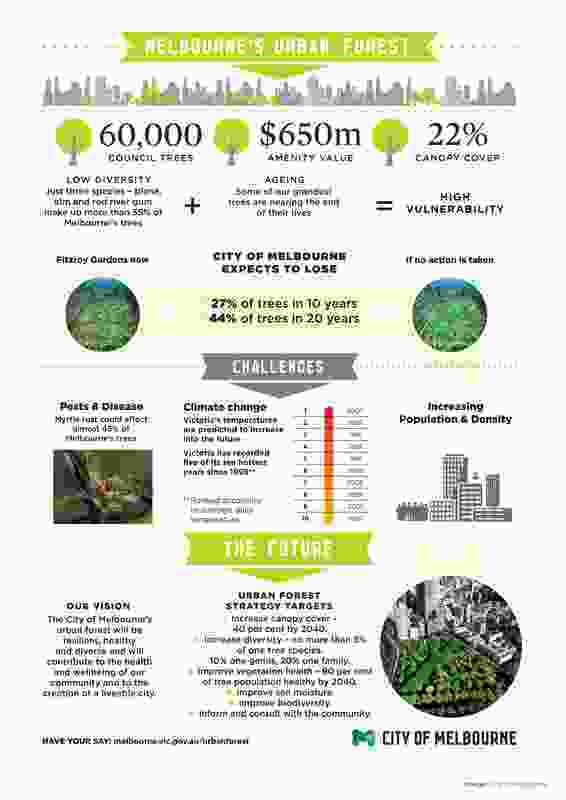 Ongoing connection with the policy and planning is encouraged – each of the sixty thousand trees in the City of Melbourne has a unique ID number linked to an online map that allows citizens to email the tree and receive a reply. 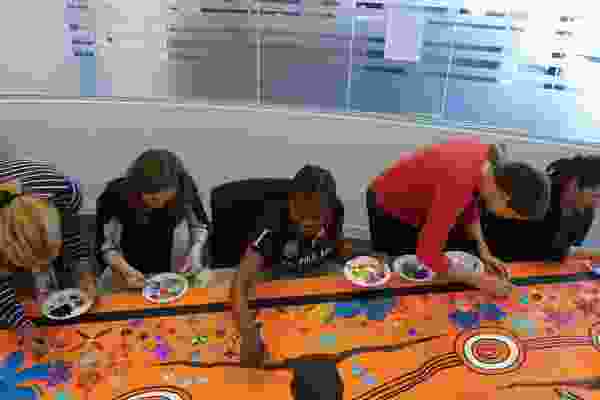 This kind of interaction has generated unprecedented support through the further development of plans and programs that empower the community to make decisions about their own streets. The Urban Forest Strategy and Precinct Plans ensure a legacy for current and future generations by planting urban forests that are adaptable and complex ecologies. Each of the now ten completed precinct plans creates diverse, robust and resilient urban forests that will sustain Melbourne in the face of climate change, urban densification and the compounding effects of urban heat islands. 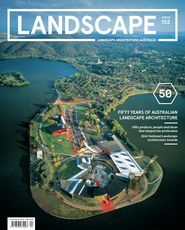 For more coverage, read Barbara Schaffer’s essay on nature as infrastructure from Landscape Architecture Australia 146.